Life is Feudal: the origins of feudal life. 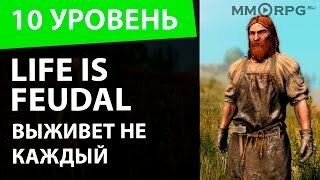 It can be said that the game Life is Feudal in many respects similar to other client multiplayer products, but still has its own unique distinctive features. One of them is that the gameplay can be continued indefinitely, for many years developing its own graying or a separate homestead. The company Bitbox developer, who declared a few years ago about her plans for her brainchild, made this accent. The authors wanted to present the players with a completely unique toy, in which everything is as close as possible to reality. The choice of the theme of the Middle Ages can also be called successful. It is this period that particularly attracts people with its complicated way of life. 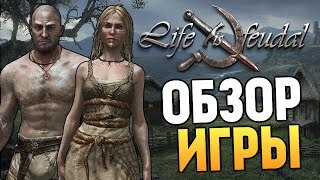 By playing the game Life is Feudal, you are probably waiting for some of the privileges inherent in this class. But it should be noted that the current elite and medieval differ from each other, like summer and winter. Today, the ruling class likes to give orders and is waiting for their immediate execution. In the old days, they achieved good by their own labor. In the beginning, you have absolutely nothing, and on a designated piece of infertile land you must grow an active settlement. Want to eat? Engage in farming. And all the works are thought through to the minutia extraction of stones from the ground, plowing, sowing seeds, watering and pest control, harvesting. Then it should be processed, having got rid of straw and grinding into flour. The final stage is baking bread. As a result, you will need a grinding mill and a bakery. Do not forget about tools for working on the ground. After all, you need a plow, and horses can help speed up work on the ground. This leads to the necessity of cattle breeding and the construction of a smithy to forge the necessary tools and wars. Construction of the house is conducted on a similar system. You are armed with an ax, go to the nearest forest belt, and cut down trees until the wood is enough for building a house or other structure. Out of ore or coal? It's time to pick up a pickaxe and go to the mine. Do you want to diversify the menu of the table? This leads to the idea that it's time to think about expanding the economy. Build animal shelters, sow more crops, build additional production buildings. As you can see, all cares require painstaking work. Therefore, to order the necessary number of boards in the store, and then activate the function of automatic construction will not work. Everywhere you need your direct participation, and from this comes the whole game system. To start you need to download Life is Feudal, and explore the possibilities of the game space. Choose your own scenario of actions to focus on improving personal possessions or establishing a settlement under your leadership. In the process, when you are in Life is Feudal to play, you can lead the farm, and when it becomes boring in a confined space, join the guild, and your life will change noticeably. Yes, it will have a certain risk, but it will become much more interesting. During the game Life is Feudal you can create your own squads for armed skirmishes with neighbors or join others in order to get your share of the land or other profit during the campaigns.